To everyone in Clark County, NV, as well as all of Nevada, we at PJO Insurance Brokerage would like to wish all of you a “Happy New Year” and we hope the coming year bring you incredible success in your business dealings. Regardless of which side your political views were, if you are like us, you are relieved the election process is over, it was a very long ordeal. Whether your choice for President won or lost, we understand as professional businesspeople, that business doesn’t stop for anything or anyone and our plans will have to adjust accordingly so we can put ourselves in the very best position possible to have a successful 2017. We hope that your company had a good year in 2016 and if there were any missteps, they were small ones and hopefully those missteps gave you valuable insight into planning for 2017. If you are like many of our clients, you have been working hard these past few weeks on your company’s business plans for 2017, what sales will be for the coming year, hopefully they are up and your company’s expenses which will come in at a lower percentage than expenses in 2016 were. As you reviewing your business’s expenses, your eye will more than likely be focused on your Las Vegas product insurance costs for the coming year. We highly recommend that your company review all of its insurance coverages at least once each year, making sure your company has the proper coverage, as well superior customer service and fair pricing for all coverages. If your business has that perfect record, no losses, always takes the proper steps and procedures to ensure that record, your company is a risk that insurance carriers are looking for. You may want to have your insurance agent shop your account to various carriers to see if there are better rates available, keeping in mind you keep the same coverages you currently have, and hopefully better coverage if available. Next up, a complete review of all your company’s Las Vegas liability insurance policies. When reviewing your GL policies, do you have the proper limits for your company in the event that a major claim should be filed against you? If your company is one that distributes or produces products, did your company delete or add any new products this past year? It is vital that you review this with your agent to make sure your company is well protected for 2017. Next up for your company would be its inland and property insurance policies. Over the past year has your company’s office equipment, tools, machinery, real property or inventory increased or decreased in value? If a major loss were to occur regarding these coverages, you don’t want to discover that the coverage you currently have is woefully inadequate, causing your company to either come up with funds of its own to replace the ones lost or in a worst case, be forced to cease operations. If your company owns its building, check the current value of the building and compare with what the current policy has the value at. Real estate prices have been rising in recent years and you need to make sure the building is properly insured at its current value. Next on your list to review are your company’s auto insurance costs, which nationally over the past two years have been rising. Review in detail the coverage of the vehicles that are currently insure, are all the autos in your company scheduled? Any vehicles that shouldn’t be on the policy? Check with your agent if there any discounts that may be available to you and if they are any other companies available to write your vehicles at a better premium, with the same or better coverage. To many business owners, the next area to review may be one the biggest expenses a company has and that would be its Workmen’s Compensation Insurance in Las Vegas. Review all the class codes that your business is charged for, are there any class codes on there that shouldn’t be? With those class codes that carry a high premium, especially if your business doesn’t perform that work on a regular basis, it may be better for your bottom line to use a licensed and insured subcontractor for those particular jobs. There are times when subbing out these jobs is the way to go, but make sure to obtain evidence of insurance from all of your subs. These are just a few of the various insurance coverages that Nevada companies use to protect themselves, so regardless of what policies your business has, it makes smart financial sense to review all of your policies at least once a year. 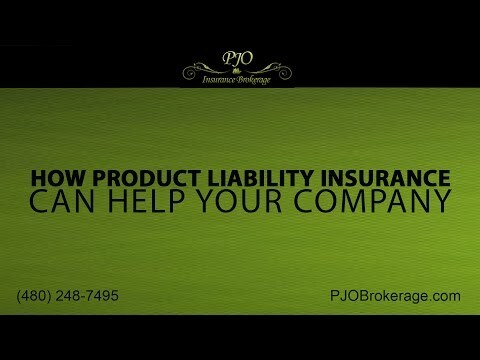 If PJO Insurance Brokerage can be of any service to your business in the coming year, reviewing your current insurance policies, or helping you add additional coverages that will fit your particular company, we would welcome that opportunity. We would like to wish you and your company a Happy New Year with all the success possible in the coming year.